With all the various colors and textures out there, picking the right concealer can be daunting. After all, no one wants the reverse-raccoon look. You may as well hang a sign around your neck that says, "I'M WEARING CONCEALER!" Different skin concerns call for different textures and colors. You can either pick a color close to your natural skin tone or a color-correcting concealer that balances out discoloration. When choosing concealer to match your skin tone, start with half a shade lighter than your foundation. Just as you do when matching foundation to your coloring, pay attention to words like "beige" (pink undertones), "cool" (pink), "warm" (yellow/olive undertones), "neutral," etc. If your main concern is dark circles, lean toward the yellow/warm family (test opacity against the blue veins inside your wrist). If you are using concealer for blemishes or dark spots, find one that is a shade lighter than your foundation and in the same undertone. Like using a green primer for redness or rosacea, we can use color theory to our advantage with concealers. On the color wheel (view how makeup and color theory work), the colors across from each other on the spectrum are opposites, so they cancel each other out when used for color-correction. Red is the opposite of green, orange is the opposite of blue, and yellow is the opposite of purple. To neutralize purplish dark circles, choose a yellow or orange-yellow-based concealer. Fair skin tones, which are prone to more of a green-based undereye discoloration, can use a mauve-rose corrector. For sun spots or freckles, choose a peachy apricot, and for redness or blemishes, a green or yellow should do the trick. When it comes to texture, opt for a creamy formula (concealer stick or pot) on blemishes and dark spots. For the delicate undereye area, you'll want something lightweight that doesn't crack-Smashbox High Definition Concealer has very little texture and blends easily). If your dark circles are severe, a creamier consistency will cover best. Just be sure to steer clear from blending into your smile lines and concentrate the pigment on the inner eye and inside of the nose. 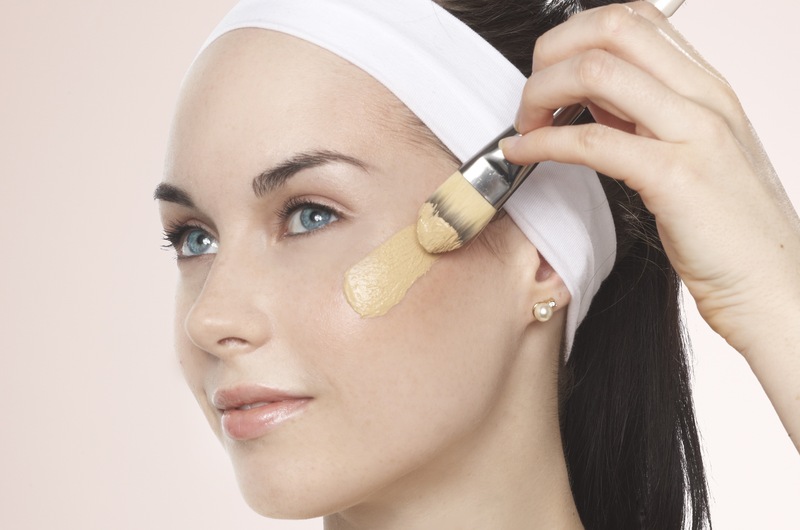 Finally, remember: concealer isn't a magic wand. The right shade and corrector can go a long way toward mitigating discoloration, but don't expect Photoshop results. It's still just makeup, and sometimes less really is more. Which Concealer Formula is Right For You?